Updated Wednesday February 21, 2018 by Arizona Outlaws Lacrosse. LAS VEGAS, NV - The Arizona Outlaws did something no other Box Lacrosse team has been able to do in Arizona - they took home the Gold finishing first overall. Bantam team went 5-0 winning their age-group and beating many repsectable and competitive teams acrosse the U.S. 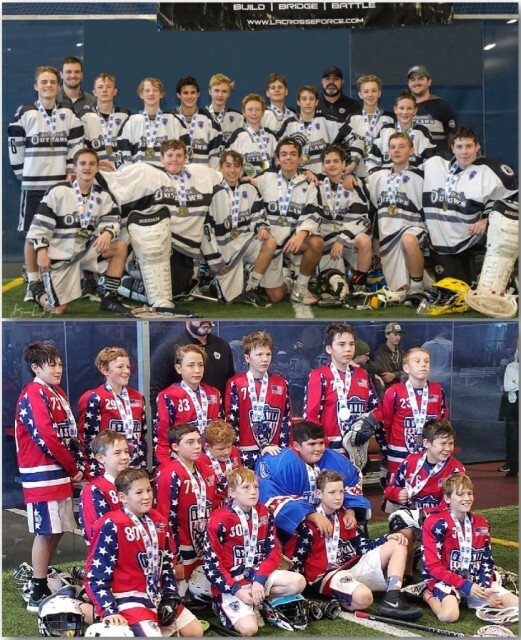 The PeeWee-aged Outlaws didn't go without representing their own taking home the Silver medtal and finishing second overall in their age group. We could not be more proud of the way the Outlaws in both ages represeted themselves thoughtout the weekend. We are so excited about the future of the Outlaws Box program, this is proof that we are doing things right. Congratulations Outlaws, we look forward to your continued success in the Box.